Hurricane Patricia is a Category 5 storm (sustained winds above 156 miles per hour) that is about to make landfall on the Pacific Coast of Mexico this afternoon. The sustained winds of 235 miles per hour are the highest reliably-measured surface winds on record for a tropical cyclone, anywhere on the Earth. This is a larger storm than Hurricane Andrew in 1992 and Hurricane Katrina in 2005. It is the strongest storm ever recorded in the Pacific Ocean. The cities of Puerto Vallarta and Manzanillo could see upwards of 20 inches of rain as the storm passes through and 8-12 inches along the Gulf Coast of Texas. Dr. Jeff Masters from Weather Underground reported that this storm is also the fastest to intensify as well. The central pressure of the storm dropped by 100 millibars in 24 hours and winds intensified by nearly 100 miles per hour over the same period. The barometric pressure change between a sunny day and a stormy day is about 10 to 30 millibars of pressure depending on typical weather conditions. The central barometric pressure of the storm was recorded at 879 mb (25.96 inches) on Friday afternoon is the lowest ever recorded which means this is one of the biggest storms in modern history. 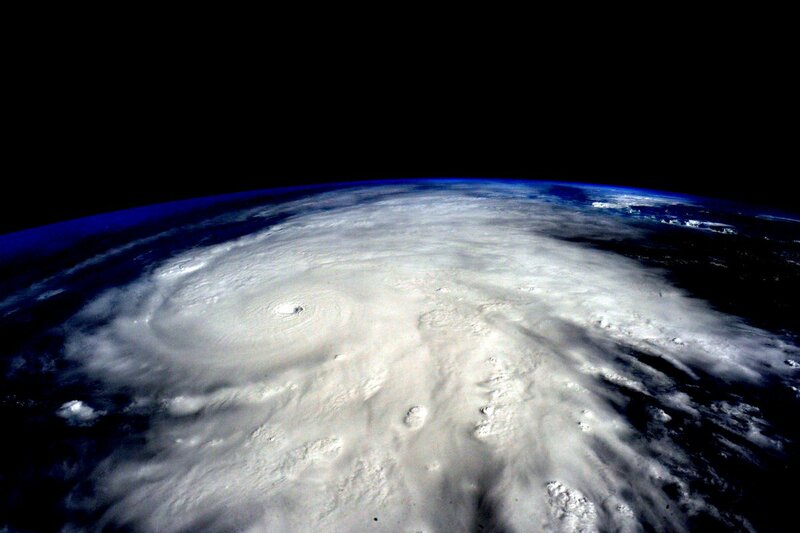 Update: Hurricane Patricia made landfall in Mexico with sustained winds of 165 miles per hour — a Category 5 storm. For a historical breakdown on the size of this storm with some more pictures and graphs, check out this article from Dr. Jeff Masters at Weather Underground. For more about the Saffir-Simpson wind scale used to categorize tropical storms and cyclones, click here.